On this page you can download more than 90+ user manuals, owner's, service and repair manuals for Minn Kota trolling motors. 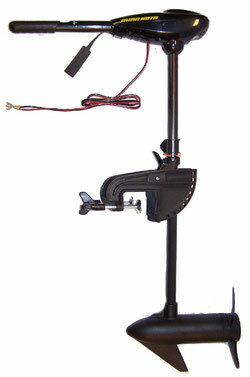 Outboard motors Minn Kota is one of the most environmentally friendly outboard propulsion. They operate almost silently, do not have harmful emissions and do not pollute the water and air environment. The first trolling electric motor has been produced in 1934. It was invented by the American O. Schmidt, who then lived in Weatland, North Dakota. There he organized his first production, from there he began to conquer the world. The success that the Minn Kota boat engines had had, soon demanded an expansion of production, which could not be organized in the same place. So the company was in the city of Fargo, bordering on the state of Minnesota, where its facilities are still located. There she gained her modern name Minn Kota, which is directly related to the acquired neighborhood. The whole history of the development of electric motors Minn Kota is associated with the constant desire of the company's engineers to develop and implement the most innovative solutions and technologies. Thanks to this, the modern trolling motors Min Kota have reached the technical and operational characteristics that make them the leaders in the market of outboard electric motors. The quality and reliability of the Minn Kota outboard motors has been proven by time and more than one generation of anglers and vacationers. It cannot be otherwise, since they are all tested on these indicators at the manufacturing stage. The existing internal standards of Minn Kota do not give a chance for the existence even of elementary marriage and deviations from the approved technology. The motto of the American company Minn Kota is "Anywhere. Anytime". And indeed, the engines of this company are often called "workhorses", unpretentious, reliable and durable, working as long as you need them, allowing you to feel confidently, calmly and comfortably on the water "at home". Minn Kota is short for MINNesota-North DaKOTA - on the border of these two states is the city of Fargo, in which Schmidt launched its production. Since its founding, Minn Kota has been leading the trolling motor market and driving the fishing community as a whole.